Number of people logging into their Facebook and Twitter accounts is rapidly increasing in India with the country recording the highest social networking growth of 37.4 percent this year, according to a new study. 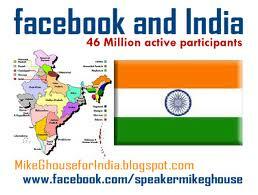 Besides, according to a research by eMarketer India will also have the world’s largest Facebook population by 2016. Number of social networking users in India will increase by 37.4% while that of Indonesia will increase by 28.7% and of Mexico by 21.1%. All these three countries have also exhibited a high growth rate when it comes to the increase in number of Facebook users this year. Moreover, Facebook is expected to reach 1.026 billion monthly users worldwide this year, according to eMarketer’s estimations. However, the US with 146.8 million Facebook users, still maintain its top spot in the list of countries to have largest number of Facebook users in the world this year and India comes in a distant second. According to eMarketers however, India with its large population and high expected growth rate is expected to have the largest Facebook population of any country in the world by 2016. Besides, Facebook is banned in China so there will be no users of this social network in the country as per eMarketer’s assumption. According to the estimation by eMarketer, there will be 1.61 billion people to log in to social networking sites at least monthly, from any electronic device. To be precise a 14.2 % gain on social networker numbers from 2012, and double-digit growth is expected to continue for another year. The research also found that there will be 2.33 billion people using social networks by 2017.